With colder temps and more snow headed our way tonight and Wednesday, we’re preparing for power outages and sharing tips to help you before, during and after a Michigan storm strikes. We’re keeping a close eye on the weather. Local service centers are staffed and additional company and contractor crews are on standby to quickly respond to any power outages and downed power lines caused by the expected stormy weather. Report any downed wires by calling 9-1-1 or Consumers Energy at 1-800-477-5050. 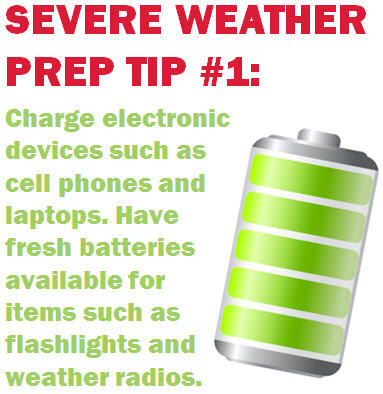 Get more tips at our online outage center and follow us on Facebook and Twitter using #CEOutage. If you lose power, report your outage and get restoration information at 1-800-477-5050 or using our online outage map.